There are hundreds of energy breakfast bars on the market but few that taste better than moist cardboard because healthy and delicious don’t often go together in the nutritional bar world. Enter Rise Breakfast Bars – an all natural delicious, gluten-free, dairy-free, and soy-free bar made of hearty chunks of fruit (non-sulphured) and nuts to fuel your morning. Each 1.4 ounce bar contains 2-7 grams of protein, 2-4 grams of fiber, 7-10 grams of fat (from the nuts), 10 – 15 grams of sugar, and 160-190 calories. Crunchy Cashew Almond: A crunchy and chewy bar with almonds, cashews, honey, dates, organic amaranth, crisp rice, and salt. A delicious and satisfying post-exercise bar. Crunchy Perfect Pumpkin: With pumpkin seeds as the primary ingredient followed by honey, dates, raisins, apricots, cranberries, organic amaranth, crisp rice, and salt, the Crunchy Perfect Pumpkin is the perfect way to jump-start your day. Crunchy Macadamia Pineapple: These bars contain macadamia nuts, honey, pineapples, raisins, sesame seeds, organic amaranth, crisp rice, and salt. Next best thing to being on a beach in Hawaii. Crunchy Cranberry Apple: Made of almonds, honey, dates, apples, cranberries, organic amaranth, crisp rice, and salt. Johnny Appleseed would be pleased. Nutritional bars are not all the same and our bodies don’t have the same nutritional and energy needs throughout the day. Rise recognizes these differences and created the Rise Breakfast Bars to give your body the fuel it needs in the morning: honey for a quick start, big chunks of fruit to continue providing energy, and nuts to sustain you. 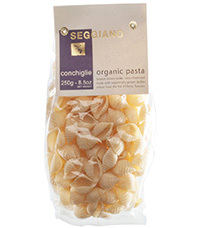 That the bars also taste delicious and satisfying is what makes them such a stand-out among nutritional bars. 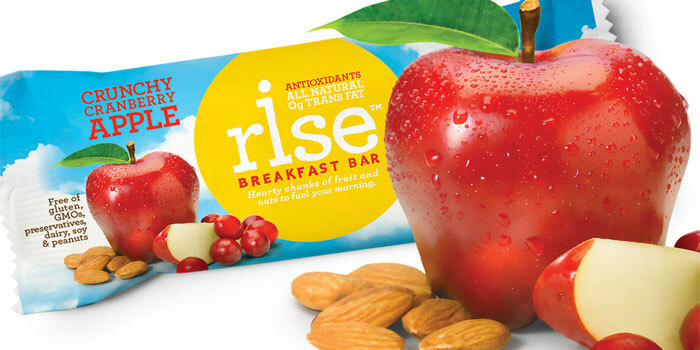 Rise Breakfast Bars can be purchased at fine grocery stores, health food and sporting goods stores throughout the country (see the zip code locator on the company website). The bars can also be purchased on-line directly through the company (a box of 12 of one flavor for $17.99 or a box of 12 assorted flavors for $18.99 plus shipping with free shipping for all orders of $75 and over). Use coupon code “5OFFRISE” for $5.00 off your order; or through Amazon (a box of 12 of one flavor or assorted flavors for $16.98 with free shipping for Prime members). Each bar is different 10 – 15 grams per bar.